A before-bedtime board book for ages 6 months + up...a last minute reminder to keep your child dry! Babies and toddlers 6 months and up will enjoy this toilet training board book...without any of the negatives that come with others like it. This book is for your child. the board book a vibrant 13 page cardboard-bound book. lightweight and only 6 inches wide x 6 inches tall for small hands. durable matte finish. rip-proof for the rough-and-tumble crowd. doesn't include pictures of diapers, or the question of "should I pee in my diaper or not?" makes nighttime toilet use "normal" at any age, breaking through cultural beliefs that early potty training is harmful or "odd"
serves as the perfect last-minute story so you can remind your child to wake to pee as a last step in your bedtime routine! Join 1,000s of parents going diaper-free worldwide who need a great tool that exclusively supports their child's nighttime potty learning. 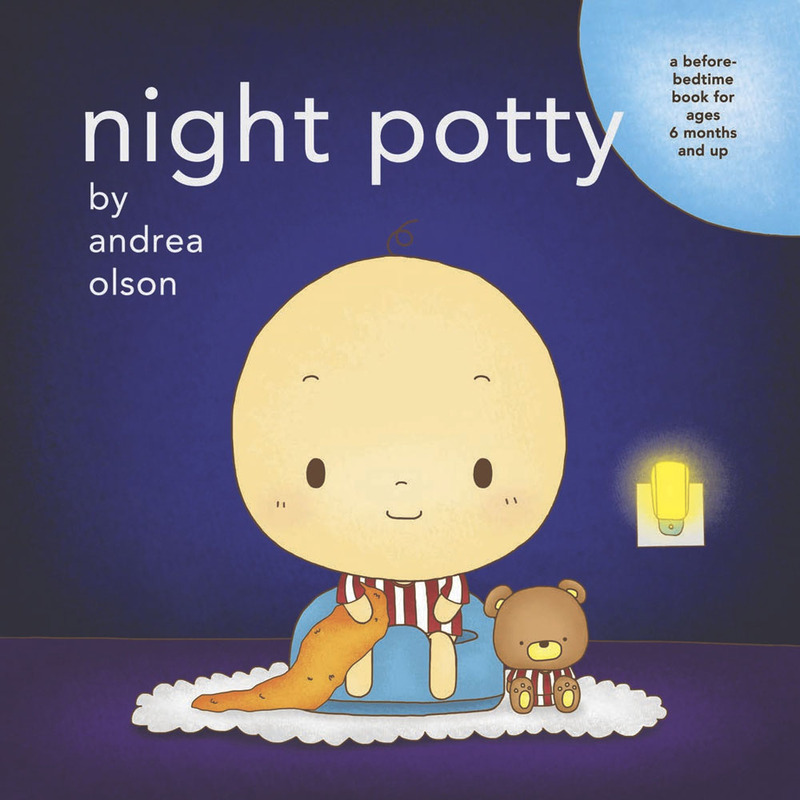 The cost for the Night Potty Board Book Package is now only $20 $10.99. Watch Andrea read the book to you! Did you know that babies learn best by repetition and mimicry? Babies and toddlers learn best by doing something over and over and over and over (and over) again…and by any type of repetition. This is why they say "again!" enthusiastically every time we finish reading them a book. With potty learning and EC, babies learn from a "herd mentality." If they see others doing it, they want to do it. The character (and Bear) in this book help demonstrate what to do when using the toilet at night, and children take to this as they do to any song, book, or game. I know first-hand how difficult it was to find a board book to read to my first son - before his bedtime - when I was doing EC with him from birth. I knew he needed a last-minute reminder. I knew he wanted a model to follow (who was not me...someone his own age). I longed for a book that didn't mention diapers, or readiness, and that didn't feature a grown child going through the motions, with uncertainty to boot. Now you get what I didn't have. And you can use Night Potty with any age child! Pregnant? Consider this an essential part of your first board book collection for your baby-to-be. Newborn or mobile baby (0-12 months)? Reading is known to benefit babies as early as birth. And when baby starts sitting and crawling, it's the perfect time to start rehearsing the proper way to use the toilet at night. Young toddler (12-18 months)? You can take advantage of this super-absorbent period of childhood by providing the task repetition that young toddlers crave. Toddler (18 months and up to any age child)? Whether your toddler is beginning nighttime toilet training or has mastered it and you just want to reinforce the good habits, this book will serve your toddler well. 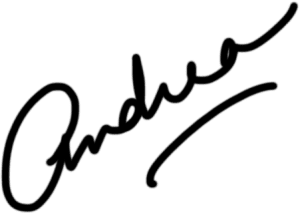 Andrea Olson, MA, helps make it easy for parents of 0-18 month babies to start elimination communication with ease, and she teaches non-coercive potty training as well. She has spent the last several years working with 10,000’s of parents, one-on-one, to solve the biggest EC challenges and make the practice of pottying their babies efficient, effective, and most of all…enjoyable. She holds a Master’s in Psychology and is endorsed by DiaperFreeBaby.org…and is newly a mother of 5. She lives in Asheville with her husband, children, cat, and chickens. Thanks for taking the time to read this info on my board book. I wish you a very happy journey, whether it's EC or potty learning!